HRANA News Agency – The court session of Mohammad Karimi, civil rights activist, was held in branch number 28 of the revolutionary court. In this session the charges were read and he defended himself. 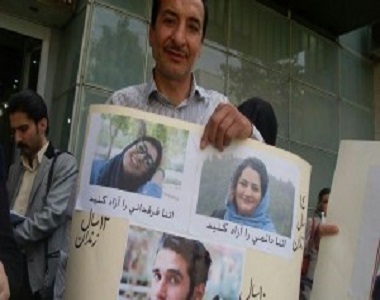 According to the report of Human Rights Activists News Agency (HRANA), the court session of Mohammad Karimi, civil rights activist, was held in branch number 28 of the revolutionary court. This session had been postponed previously due to absence of judge Moghiseh. The session started with prosecutor’s assistant’s declaration of charges, which included propaganda against the regime, attendance in protests against the regime, and attendance in civil and political opposition groups’ meetings; then Mohammad Karimi defended himself. The sentence of this civil rights activist will be issued and announced in few days. Need to be mentioned, Mr. Karimi had another court session about 2 months ago, in a separated case, and was charged with disrupting public order, but is still waiting for the verdict.